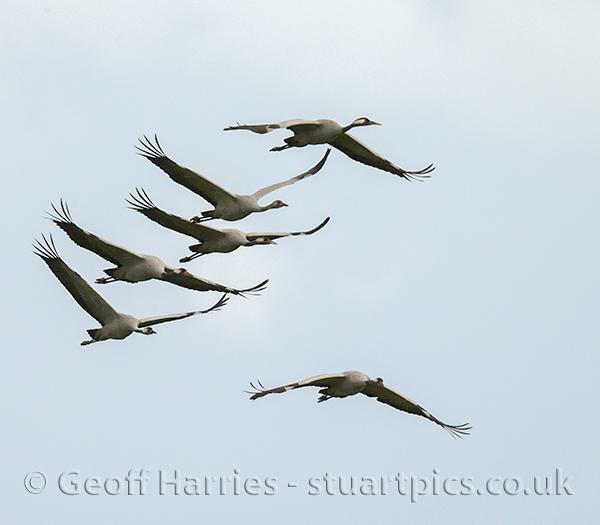 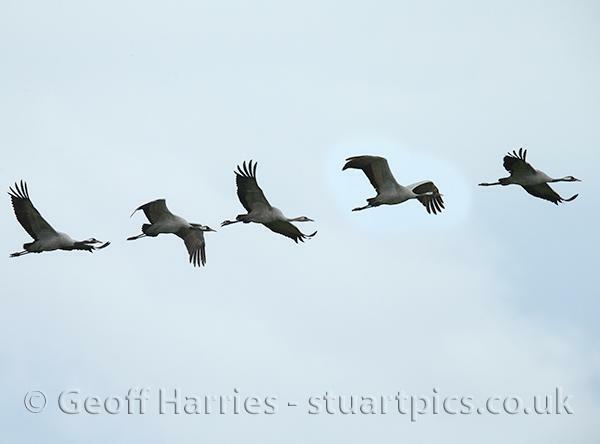 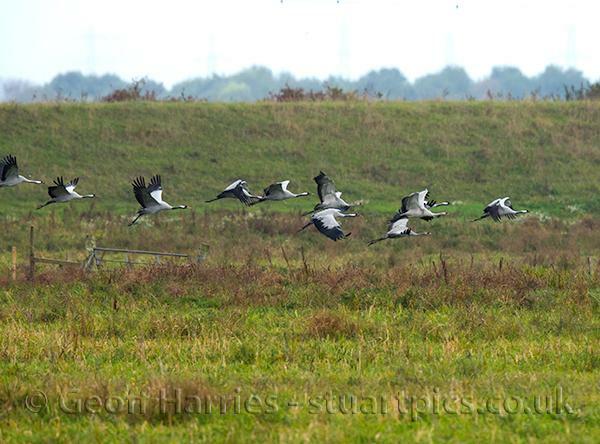 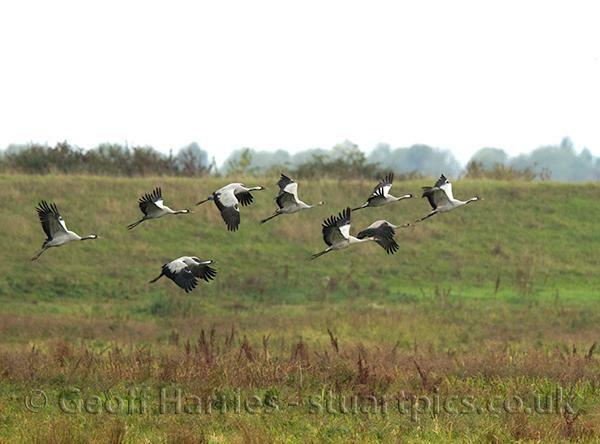 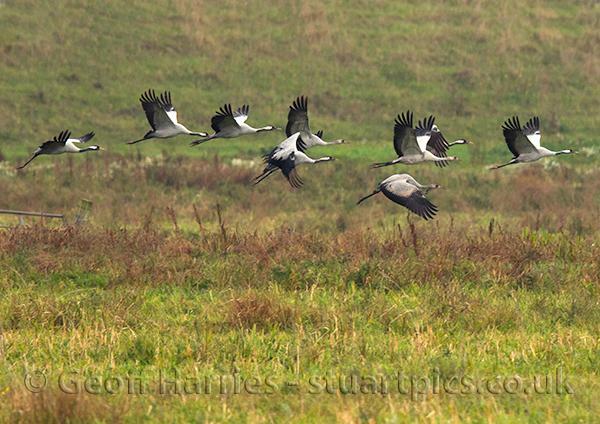 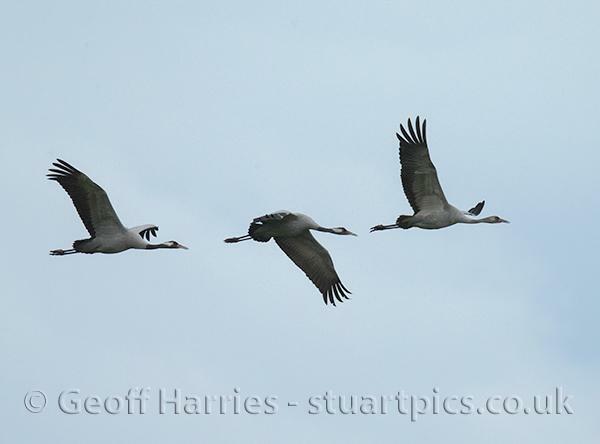 There were 17 cranes feeding together in rough grass about 2-300 meters away from the hide. 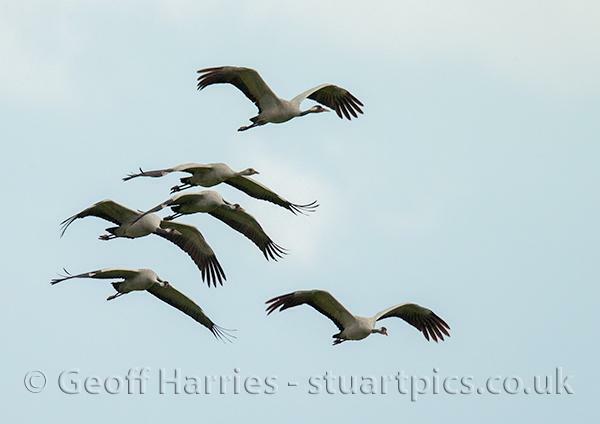 Difficult to get any images of the birds on the ground even using a 2x extender on my 500mm lens. 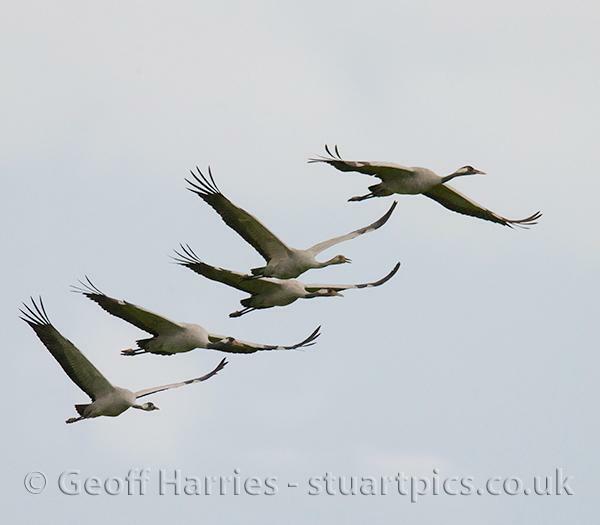 After a wait of about 2 hours the birds took flight giving a classical display of cranes inflight. 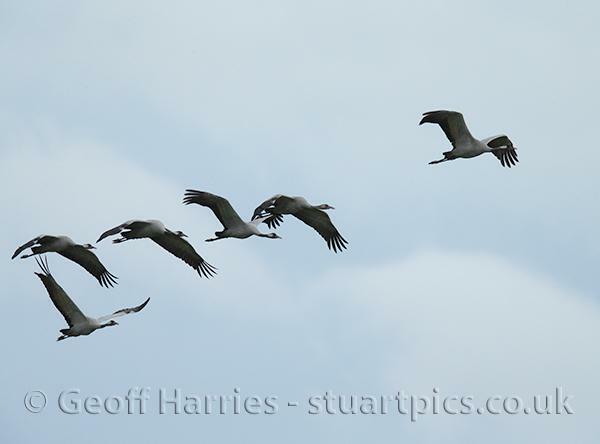 Image quality was reduced by dull weather and using the 2x extender on the camera.